In order to set things up correctly, you need the expert advice of an interior decorator. They will determine a strong layout and choose the right lighting, color, furnishing, and fabric that flow with the style of your space. They not only arrange it to look visually appealing, but they also create an environment that can make you think clearly and perform better. All this is done keeping your personality and lifestyle in mind. 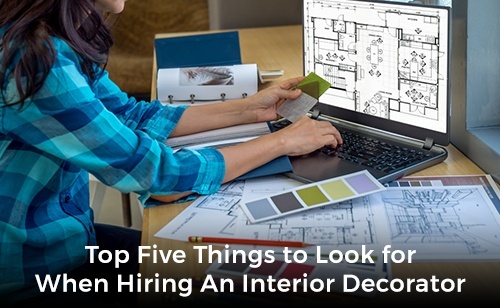 To help you find the perfect fit for your project, here is a list of top five things you can consider when hiring an interior decorator. 1. Creative and artistic skills. An interior decorator needs to have artistic and creative abilities to know how lighting, furniture placement, and color can be used effectively within a space. For them to create an area that is both aesthetically pleasing and functional, they must have an eye for detail. Also, check their portfolio on their website to see previous work. 2. Above-average listing and interpersonal skills. A professional interior decorator should have good listening skills and an understanding of the clients’ expectations. They need to be able to deliver a satisfying result to make sure clients are happy with the finished product. This can only be achieved if they pay close attention to your needs. It is important to feel comfortable with your decorator. The decorator will not only have to coordinate with you but also be required to liaise with suppliers and trades. It is essential for any interior decorator to plan. They need to be able to present a visual plan to a client. Such a plan will usually include a variety of details, including not only a representation of the final product, but also a cost analysis and timeline. Management skills are crucial in any business especially in interior decorating. When they work in this field, they have to meet deadlines, draw up schedules, and understand how to use resources efficiently. Excellent project management skills and knowledge of management strategy is critical and a vital quality to look for in an interior decorator. As a service professional, a competent interior decorator needs to make sure that the clients remain content with your service and quality even after the completion of an individual project. Sometimes, not everything can be selected at one shot so choosing an interior decorator for the long haul works best. When hiring an interior decorator for your next project, look at not only their natural creativity but also their excellent interpersonal skills and useful business and management skills. If you’re looking for an interior decorator in Sudbury, ON, consult INTERIORS by NICOLE. I have many years of experience in home décor, staging for resale and home renovations. I help a client realize their vision and incorporate their wishes into their home. 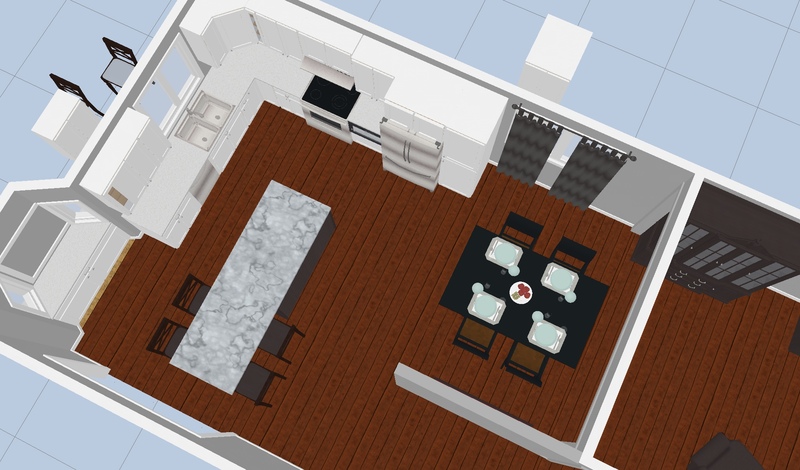 I also offer 3D visualization images to give the client a feeling of what the final renovation will look like. To learn more about the services I provide, please click here. To get in touch with me, please click here.